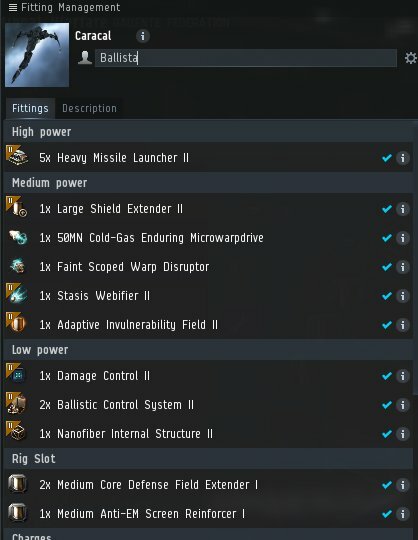 Since my Eagle got blown up coming out of an Abyss site I switched to an old Caracal I had sitting in the hanger (that's a theme by the way, I have so many old ships just sitting around) and tried some more sites in it to mostly success. This has decent tank, nice range, and a couple drones for extra frig killing. After I took that picture and posted it on Twitter, I realized the disruptor was a waste of space and swapped out for a Medium Ancillary Shield booster for that extra protection. And except for one time I let a rogue drone battleship get to close its had very little problems with various types of Tier 1 Abyssal sites, getting me some decent low level Abyss loot. However, the goal was never to stay in Tier 1 so I decided to get a go at a Tier 2 site. So I grabbed a 4 year old Vexor Navy Issue from Bring Me The Head of Kirith Kodachi III event and a Tier 2 filament and headed out. "Surely," I thought, "a faction cruiser will be more than enough to handle Tier 2!" So I made several mistakes, and learned some lessons. First, I should have went after the escorts first and not the battleship as it turns out they were repairing all the damage. Secondly, a ship with drones as the main damage is not ideal as there are many structures that love to mass attack your drone wings, plus the NPCs will switch to them as well. Finally, a tank that does not recharge itself and is passive only will be a problem if I make mistakes; active tanks are more flexible in these situations. Laziness got me this loss, so having learned that I am setting out for building a ship from the ground up to continue my tier 2 and higher adventures. Stay tuned. When you jump into or out of a filament deadspace pocket you are protected by a full 45 second invulnerability timer. This is enough time to get ready to activate another filament if you have a concord suspect tag (high sec level 4 and 5). Assuming you activate it as the timer ends you can can your time in a level 1 and run the timer off. I haven't used the filaments in low or null but if the invulnerability timer is there it would allow you to at least put off being destroyed for 20 minutes if you are carrying a calm filament in your hold. Enough time maybe to call for help at the exit.